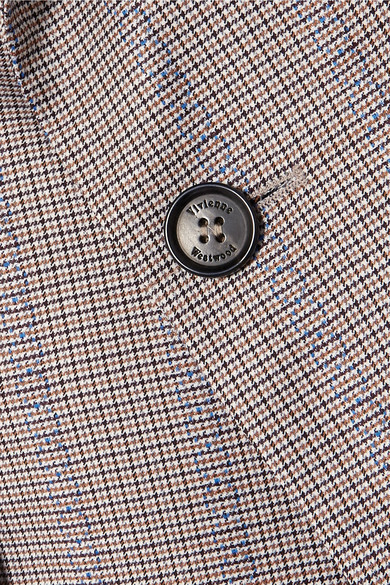 Combine a heritage pattern with Vivienne Westwood's ability to tailor pieces in the most unique way, and the result will always be a winner. 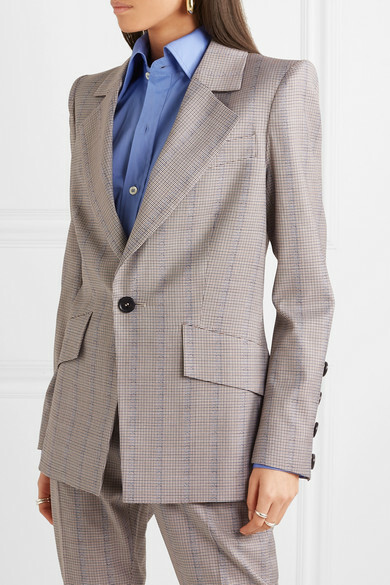 This blazer has been made in Italy from puppytooth wool and is padded at the shoulders for shape. 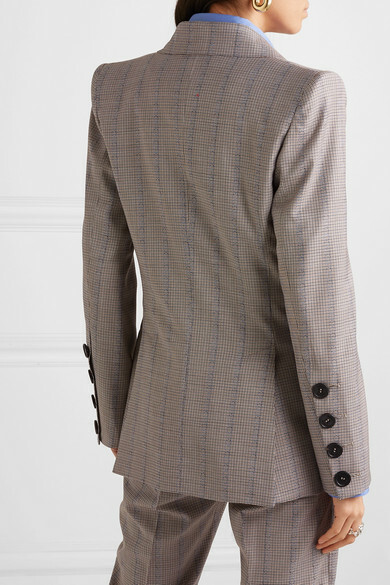 Your waist will look nipped when the single button is fastened. 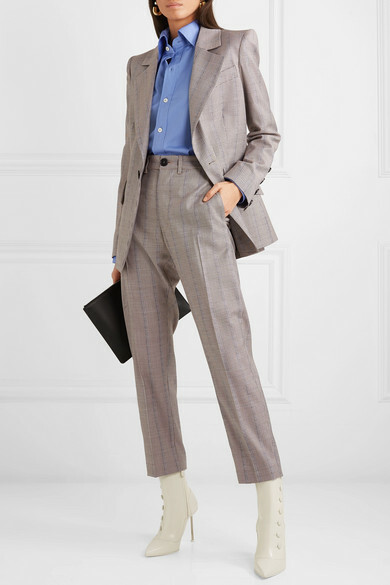 Wear it as a suit with the coordinating pants or style it with a white tee and jeans. Shown here with: Vivienne Westwood Shirt, Alexander McQueen Ankle boots, Loewe Pouch, Sophie Buhai Ring, Jennifer Fisher Ring.